With the right strategy, social media automation can help make your social media marketing more professional and consistent and boost your efficiency. If you understand the secret triggers of each social channel, social media automation will help you to tackle your tasks in no time and boost your visibility and engagement. Social media networks are great for communicating, networking and engaging with your audience. But chances are that your “to do” list will become longer than your time for getting things done. Often enough you will be so busy with sharing your posts, that you end up with having not enough time for engaging with your audience. Posting content on multiple social media channels is time consuming and tedious work. This is when social media automation may sound like a pretty good solution. Social media automation is tempting to free you from the pain of sharing your posts on multiple social platforms. With automation tools, you will get more time to brainstorm your content and to become more creative in producing valuable content for your audience. However, the convenience of social media automation can turn your social media feed into lifeless, robotic streams of the same ever repeating posts. So, before you start looking for a social media automation tool, consider your social media strategy carefully and understand that people on Twitter react differently to content than your audience on Facebook. 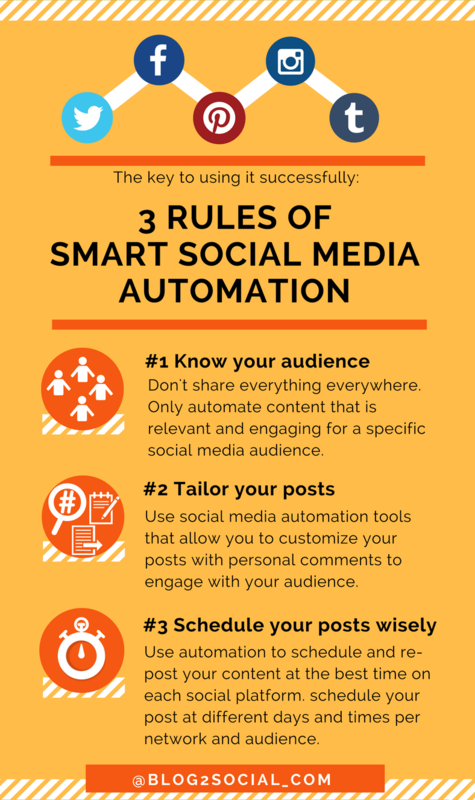 There are several dos and don’ts of social media automation and there are of course several rules you should stick to when automatically sharing your posts. Don’t automate everything. Don’t automate the same content in the identical way for all social platform. Try to make some changes and personalize the content as per the requirement of the respective social medium. Don’t repeat your posts ever and ever again. Mix automated content with personal content and curated content to give your social feeds a lively and personal appearance. Customize your posts and personalize the content as per the requirement of the respective social media channel. Avoid automating posts that should be personal like messages, comments or replies. Auto-replies and auto DMs are not engaging and so your followers are very unlikely to engage with them. Scheduling your posts is a great way to fill your time-lines with a consistent content stream and also to free you from work on weekends and holidays or when you go for a vacation. Nevertheless, I would recommend not to scheduling content way far in time. When scheduling too many posts too far ahead, you will easily loose track. Also, current events can make your content look outdated or misplaced. You may schedule your evergreen content to be re-posted over a couple of month. But, I would recommend not to schedule your regular posts for more than a couple of weeks to keep your schedule flexible for current events and fresh content. Don’t rely on social media automation for curating content you haven’t revised or at least scanned to grasp the relevancy for your audience. You might be posting content not relevant or even annoying for your audience due to a mismatch of keywords or other automation criteria. Don’t just curate, but always add a personal comment why you post it and always encourage your follower to engage. Here is how you can use automation to unleash the power of social media. 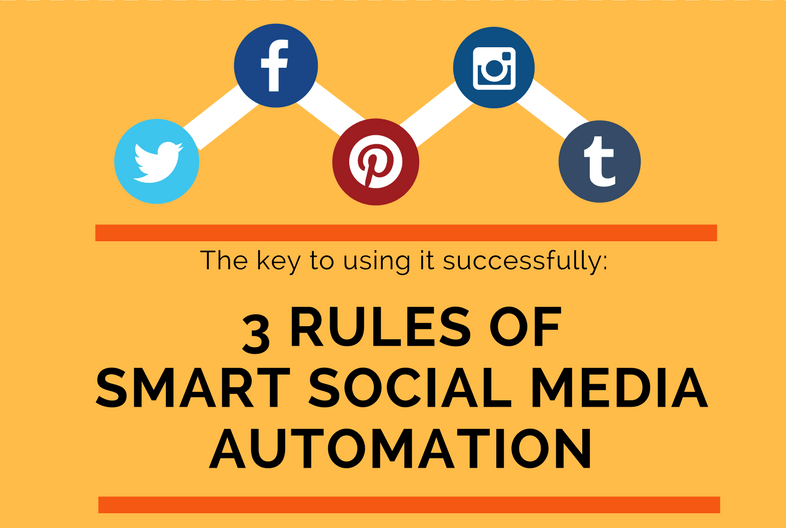 Don’t push everything everywhere just because social media automation makes it to do so. Relevant content is still king. And relevancy of content is the backbone and the core rule for your social media success. Always remember why your followers follow you. Only automate content that is relevant for your specific audience and for the specific social channel you are posting to. Always tell your audience why you think this content might be relevant for them to encourage reading and engagement with your posts. Every network has specific features and provides different options for presenting and promoting your post. And, every community reacts differently to specific posting formats. Understand, that the various social networks harbor a different audience with different preferences. 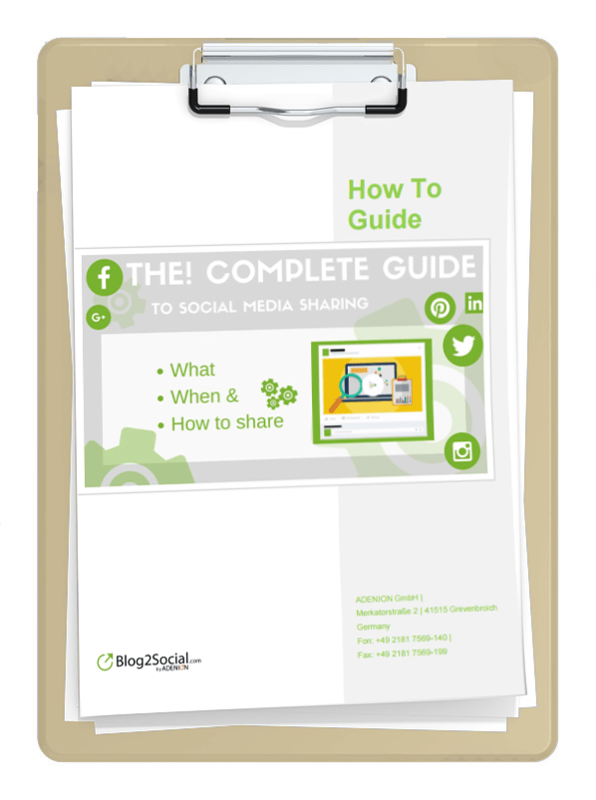 Link posts are the common post format for sharing your post on Facebook and Twitter. However, turning your blog post into an image post instead can boost your outreach and engagement tremendously. Some networks activate #hashtags, handles or emojis for better search and networking options. While hashtags work fine on Twitter and Instagram, on Facebook and LinkedIn they simply don’t. It might come to a surprise, that posts with hashtags even generate less engagement on Facebook than posts without hashtags. However, hashtags make your posts easier to search, so you have to weigh your options and experiment a bit with what works best for you. 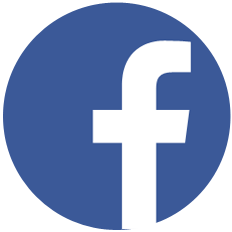 On Facebook, you have unlimited chars, but posts with less than 50 chars work best for engagement. 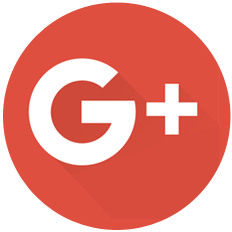 On Google+ longer posts will work much better. Always add personal comments to introduce your post: tell your audience why they should follow your link and read your post, ask questions to encourage comments and response. Use visuals where possible. Posts with images and videos get more response than posts without. Insert a few selective and relevant #hashtags where possible to make it easier for others to find your posts. But remember, posts on Twitter work best with 2-4 hashtags, whereas on Facebook they work better without. On Instagram you may use up to 30 hashtags. Use handles where possible and relevant in order to give credit or message specific users. Apply emojis where possible to let your audience know how you feel about your content and make your emotions visible. Add call to actions where applicable: It’s quite easy: ask for shares to get more shares. Social media success is all about the right timing. Whenever you share a post, only a fraction of your follower will actually notice your content. Experiment a little to discover the most suitable timing for your posts to get the most traction and attention from your audience. With the introduction of algorithm-driven rather than chronologically ordered feeds, the perfect timing of posts gets more and more difficult. However, not posting the same content at the same time in every social network will also help to stretch the life span of your post. Your audience login to each of their social communities at different times and for different purposes. When posting business related content, chances are that a weekday post gets more traction than a Saturday night post. When cross-promoting your content to multiple social platforms and communities or groups, always share your content at different times, and even at different days. 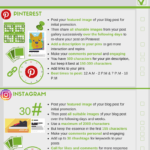 This helps to expand the lifespan of your post and increases the chances that your content gets noticed. When setting up a social media automation plan, you need to consider particular time slots for your posts in each social media channel. 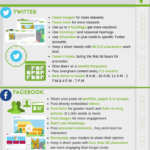 If you don’t know where to start, take a look at current research on the best times to post on social media and the best frequency to post. Before you start to look for social media automation tools, think of the various tasks you might want to get automated. For the perfect content mix on your social feeds. Don’t try to get everything in one single solution. This will either become very pricey, but no single solution can specialize to do everything with the very best results. So, you might rather be looking for smart tools, specializing in specific tasks. The power of social media automation can help you drive more traffic to your blog in less time. Social networks are the best sources of traffic for your blog, but sharing your content across multiple social platforms is tedious legwork. If you don’t want to make a dull run of the mill every time you publish a new blog post, look out for tools that help you share your blog content automatically. 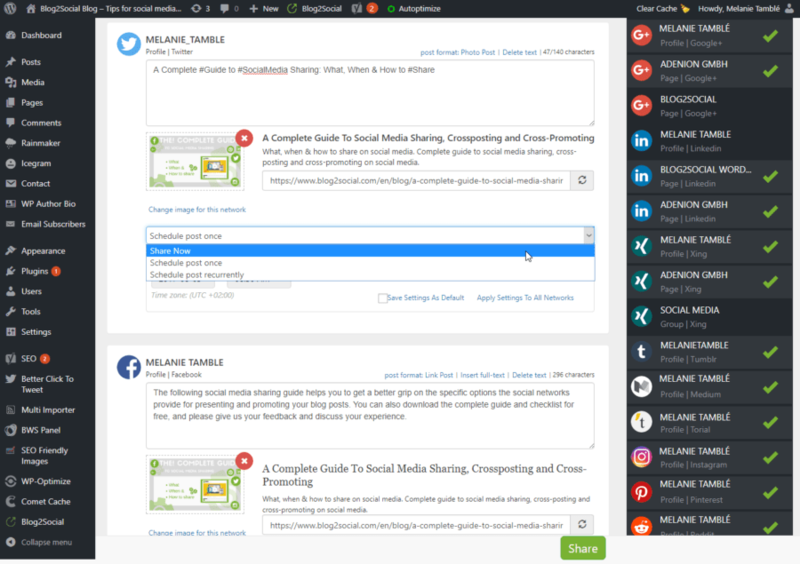 Social media automation tools for cross-platform sharing enable you to post your content on multiple social platforms at once, using a single interface and doing everything more or less in one step. One of the major benefits of cross-platform social media automation is, that you can easily share your content to multiple social platforms and compose your content under a single roof to expand your reach. But beware of becoming too lazy. Don’t use social media automation tools to just cross-post the same message to all of your social communities. Don’t cross-post, cross-promote your content. Use social media automation tools that give you the full control of each post on each network. 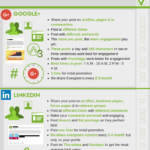 Look out for tools that allow you to tailor your posts for the specific features and options of each social network. Add personal comments and introductions to your post with regard to your specific social media audience and schedule your post along specific time slots that work best for each social community. We have to manage 5 corporate blogs with multiple social media accounts, pages and groups connected to each blog and we share our blog posts every time we publish a new post. So, I know what I am talking about. I show you, how I tackle my task of cross-promoting our blog posts on our multiple social channels. For cross-promoting our blog posts on my social media accounts I use the Blog2Social WordPress plugin. The plugin allows me to cross-publish and schedule my post directly from the WordPress dashboard. It has an auto-posting as well as a customizing & scheduling feature and I always use the customizing feature to tailor my social media posts before sharing. The plugin turns my blog post automatically into an adapted format for each network I select for sharing my blog posts. A preview editor displays all posts for the selected networks on one page. So I can edit and add everything I want to change in one single step. This takes me less than 5 minutes for all of my networks and I would always recommend to do spend this extra time. Blog2Social provides me with a simple one step work-flow for all of my networks. This still saves me the time consuming and tedious work of copy & paste & edit my texts manually on each network. Twitter: I add #hashtags to keywords. I also add @handles if I want to refer to a specific Twitter user for this post. If I post to more that one Twitter account, I use different tweets and schedule them at different times. I can also add more tweets to each Twitter channel, if I want to schedule multiple or recurring Tweets. Google profile: I use a slightly longer introduction for my post, as longer comments work better on Google+. And, I use #hashtags for keywords. Blog2Social already provides a slightly longer excerpt for Google+ and adds the tags from the blog post as #hashtags for keywords at the end of the comment. I sometimes add the same as for Facebook. Google group: I do the same as for my page and I schedule the post for multiple groups on different days and times each. LinkedIn profile: I do the same as for Facebook, but sometimes tune the text a bit more businesslike. Tumblr, torial: I do the same as for Medium. The Blog2Social best time scheduler provides a ready-to-use time set to automatically post at the best times for each network. You can also edit and save your own personal time settings as best time settings. And, you can always edit any time for any of your post or schedule your posts multiple times or recurrently. For sharing content from other sources than our own blogs, I use the Blog2Social Web App to tailor my post with personal comments and to cross-share and schedule them across my various channels. 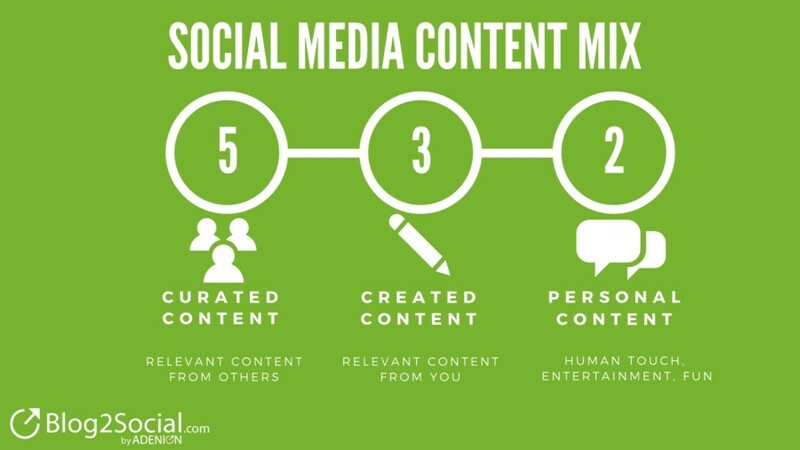 The perfect content mix for your social feeds is a combination of 5 pieces of your own content (business / promotional content as well as personal content) and 5 pieces of curated content from other sources that you find valuable for your audience. 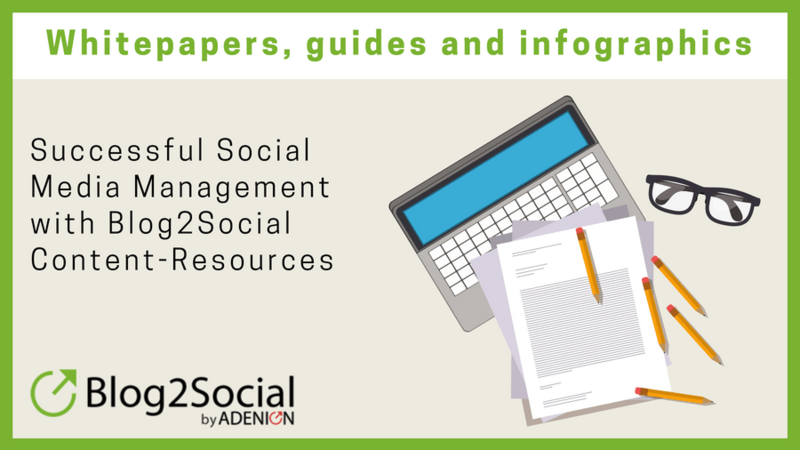 and share content to establish your social feeds as useful resource for your specific topics. Pocket using the tag “curate”. I set up a receipe on IFTTT to automatically share tagged articles prom Pocket to my Twitter account and my LinkedIn timeline. I used to do the same for Facebook, but stopped, because the output of the post with IFTTT is too robotic. Other social media networks either don’t connect to IFTTT or the outcome does not work for me. 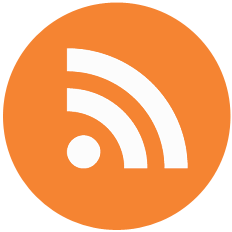 For sharing customized curated content on my other social media accounts I use Zapier to create a Zap for a customized RSS Feed to automatically collect my tagged articles. 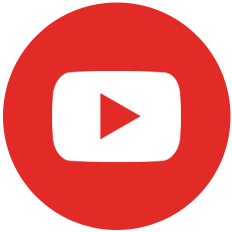 I import this RSS Feed to the Blog2Social Web App where I can customize and schedule the posts for each of my social networks. I can select the networks, pages and groups I find suitable for the posts, such as Twitter, Facebook, Google+, LinkedIn, XING, Pinterest, Instagram, Flickr, Diigo and Tumblr. Besides sharing your own contents on social media, you should also encourage your website visitors to share your posts. Make it easy for your readers to share your posts with their social communities, once they are on your website or blog. There are several tools and plugins to help your with this tasks. Get Social: customizable social media sharing buttons and bars & analytics (Premium). WWM Social Share On Image Hover: Easily add social sharing icons on every WordPress image hover (Free and Premium). (Take a look at the images included in this post to see how it works. Better Click to Tweet : allows you to turn shareable quotes or phrases into ready to use tweets to share your post on Twitter (Free and Premium), i.e. The number of views a post is a good indicator of your reach, but they say little about the attention paid to your posts. Even the number of like do not necessarily mean that your posts is actually read. Maybe, your followers just liked the image or headline of your posts. The number of shares tell you that your content was valuable enough for your followers to share them with their audience. The comments tell you that your followers actually read your post and build their opinion of it. But, only the sales you generate from your posts tell you that your content performs for your business. Using analytics helps you understand what works for your audience and what drives traffic to your blog and website and what generates leads and sales. This gives you valuable insights that you can use to improve and adapt your social media marketing strategy. We use Google Analytics and the Google Analytics Dashboard plugin for blogs to look at our blog stats. We also monitor our social media stats with the analytics each network provides. This is the basic set up you can use to get a better grip of your post’s performance, before you start looking for a sophisticated social media monitoring tool. Social media automation is a good idea to save time for routine sharing work, particularly for blogs and businesses with multiple social media accounts. Social media automation help you to save time, which you can spend better on engaging with your audience. A solid social media automation strategy helps you achieve a consistent content stream on your social media feeds. Choose automation tools which give you full control over the content you share, when to share it and how you share it. Respect the basic rules of automation: don’t automate everything everywhere, stay human, be relevant. Tailor your content to the options of the respective social platforms and the preferences of your specific audience. Social media automation tools can also helps you to find valuable content to share. Also find content to inspire your own content creation process. Monitoring and analytics help you understand what works for your audience and your business and guide you to how you can improve your social media marketing strategy.